Flip a coin. 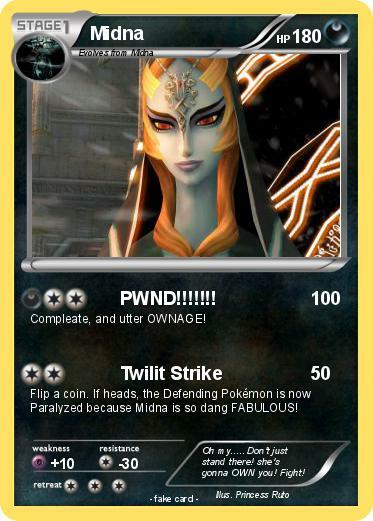 If heads, the Defending Pokémon is now Paralyzed because Midna is so dang FABULOUS! Comments : Oh my..... Don't just stand there! she's gonna OWN you! Fight!